How would you feel if a major retail store found out that your daughter was pregnant before you did? Thanks to modern technology, and a bit of simple math, Target has shown that this is entirely possible. Algorithms now play a major role in the business landscape. Algorithms allow us to quickly and efficiently process, visualize, and predict outcomes from datasets. An interactive dashboard built via an automated pipeline using MS SQL, Python, Linux cron jobs, and Qlik Sense. 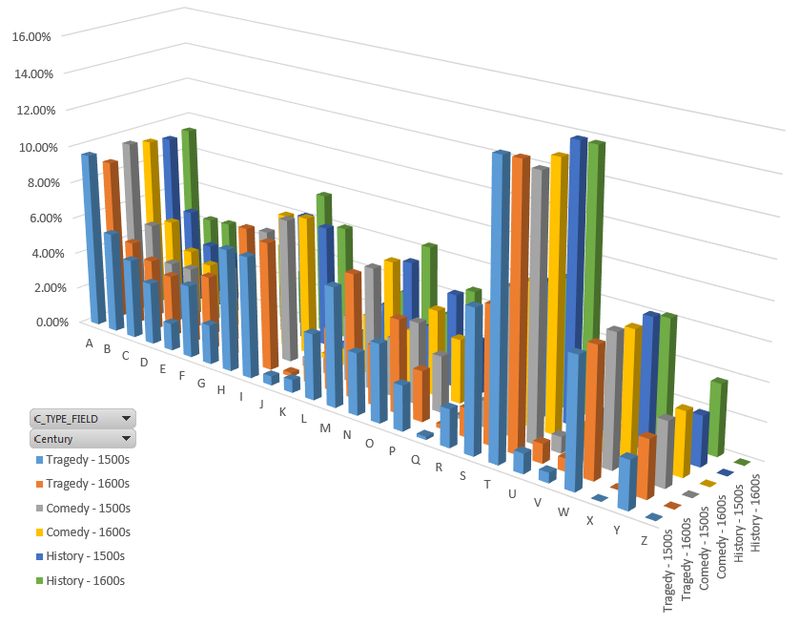 The data table on the left depicts employee specific productivity and utilization during the past work week. The KPIs and graph on the right represent historical productivity & utilization. Productivity and utilization are algorithms defined by Source One Management Service's executive team. As a result, we are seeing a paradigm shift in the 21st century. Analytics has become main stream. You can’t even turn on ESPN without hearing reference to advanced analytics (WAR, WHIP, Win Shares, PER, EPA). Burtch Works has gone as far as to make a claim that if you are not at least data proficient, you are unlikely to be competent at filling a C-suite position in a large corporation. This requirement will only continue to grow as cutting edge research continues to become both useful and widely accessible. For instance, many of you will remember Deep Blue. The computer that defeated world champion Garry Kasparov in a game of chess. Six days ago Google one-upped Deep Blue with AlphaGo (beating Facebook and Microsoft to the punch). This artificial intelligence software attempts to replicate the human brain by continually “reprogramming itself” in an attempt to learn the optimal game strategy. Continued technological innovations like AlphaGo will not only change what we can do as a business, but they will also dramatically change how we do it. Apple tops Street 1Q forecasts Apple posts 1Q profit, results beat Wall Street forecasts AP. January 27, 2015 4:39 PM CUPERTINO, Calif. (AP) _ Apple Inc. (AAPL) on Tuesday reported fiscal first-quarter net income of $18.02 billion. The Cupertino, California-based company said it had profit of $3.06 per share. The results surpassed Wall Street expectations. The average estimate of analysts surveyed by Zacks Investment Research was for earnings of $2.60 per share. The maker of iPhones, iPads and other products posted revenue of $74.6 billion in the period, also exceeding Street forecasts. Analysts expected $67.38 billion, according to Zacks. For the current quarter ending in March, Apple said it expects revenue in the range of $52 billion to $55 billion. Analysts surveyed by Zacks had expected revenue of $53.65 billion. Apple shares have declined 1 percent since the beginning of the year, while the Standard & Poor’s 500 index has declined slightly more than 1 percent. In the final minutes of trading on Tuesday, shares hit $109.14, an increase of 39 percent in the last 12 months. _____ This story was generated by Automated Insights (http://automatedinsights.com/ap) using data from Zacks Investment Research. Access a Zacks stock report on AAPL athttp://www.zacks.com/ap/AAPL. What is extraordinary about this article? It was generated entirely by an algorithm. It is easy enough to construct an automated process for acquiring data. Furthermore, once an algorithm is in place it will generally be cheaper, faster, and more accurate than a person performing the equivalent task. The same methods used in computational journalism will find their way into internal dashboards, papers constructed by consulting companies, and supplier relationship management (SRM) systems. Of course the most effective companies will retain a human element in the process (see Game Theory below). Nerds took over Wall Street during the 1990s when physicists (rocket scientists) were displaced due to NASA funding cuts. Because of these nerds we have seen a major advance in computational knowledge and technology. Two areas where computational finance knowledge could have a very obvious impact in procurement are hedging futures and bidding on a contract tied to an index. That is, by adopting predictive analytics strategies from computational finance one can make more informed decisions about procurement. A less well known area is that of real options valuation. A real option may be defined as "the right, but not the obligation, to undertake certain business activities such as deferring, abandoning, expanding, staging, or contracting a capital investment project." As this theory is further developed it too will have a direct impact on the procurement decisions. Finally, as large businesses continue to expand they will need to improve their risk management process. It would not be surprising to see them begin to adopt some of the banking and insurance risk mitigation metrics (VaR, ETL, etc.). Businesses will also begin to expand their usage of data services to include ones like weather analytics services because economic implications often affect the forecasts that you see on television. Even from reputable services. For instance, in his article The Weatherman Is Not A Moron Nate Silver states, "for many years, the Weather Channel avoided forecasting an exact 50 percent chance of rain, which might seem wishy-washy to customers. Instead, it would round up to 60 or down to 40." See Nate Silver's book The Signal and the Noise for expanded coverage on this topic and data analytics as a whole. Technology is a wonderful thing. Unfortunately, it has its drawbacks. First, no technology is full-proof. One must now concern themselves with data breaches, such as the ones that took down the Wichita procurement website and the Energy Department hacks. According to this article at MyPurchasingCenter.com, approximately 78% of organizations have experienced a data breach within the past two years. Moving forward, data breach litigation will be an integral part of procurement contracts. Assuming that one has good security practices in place, then their organization should focus on processing error and fraud within the data itself. Winston Chew of KPMG's forensic and litigation support team, "The proliferation of e-commerce has led to an increasing amount of e-fraud in recent times, which in turn has meant an increasing demand for forensic IT services aimed at identifying unauthorised or unethical activities." A layer of forensic accounting needs to be incorporated into the spend analysis repertoire after vendor cleansing and before categorization. 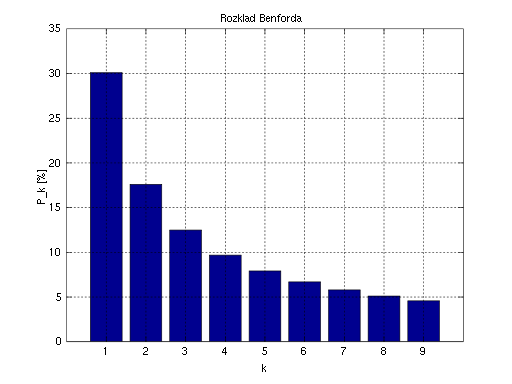 For instance, anyone well versed in data analysis should be familiar with Benford’s law which looks for the expected frequency of first-digits in random numbers. The theory has been proven to find fraud when people habitually enter non-random numbers (such as favorite or lucky numbers) and can be easily applied to fraudulent procurement, accounts payable, or travel & entertainment entries. follow a more uniform distribution then they have been fabricated. This is just one of many tests that provides a good indicator about whether one should delve deeper into their spend data. Another approach that could potentially be useful in the procurement industry is the Lanza Approach to Letter Analytics (LALA) because it affords an alternative perspective into the quality of the procurement specialist's work. For further reference on this material see Rich Lanza's The Lanza Approach to Letter Analytics to Quickly Identify Text Analytic Deviations and Improving Visualization of Text Analytics. depicting individual historical purchasing patterns as well as same-function comparative analysis. Here it has been applied to Shakespeare's plays in order to identify and compare writing styles. A third methodology that will be widely adopted is social network analysis. This technique may be used to detect corruption as in the case of the Slovak government a few years ago. The U.S. Department of Justice has issued more cases than ever on the Foreign Corrupt Practices Act which can impact any U.S. company with global operations working with foreign government procurement. Analytics can quickly ferret out preferred dealing so that they can be identified prior to becoming headline financial news. Lastly, geolocation analysis using access to tools like the Google maps API will be used to identify the legitimacy of accounts payable transactions. We conclude by noting that specialists with subject matter expertise and technical knowledge will dominate the consulting landscape in the 21st century. They are the ones that will be best equipped to efficiently identify maverick spend, the reasons behind it, and whether it is the result of clerical error or fraud. Furthermore, with the help of IT departments and data scientists, these specialists will be able to quickly prototype and implement the processes and technologies that best position an organization to succeed despite the problems caused by error rates, payment terms, and vendor management. NOTE: I would be remiss not to mention that social network analysis and geolocation analysis will likely become ubiquitous in the procurement industry because they also have applications outside of fraud analysis. Social network analysis may also be used in supplier relationship management (SRM) to develop a better understanding of both suppliers and one's contacts at those suppliers. For instance, if you have a Facebook page then you may use the following WolframAlpha application to perform an analysis on yourself and your social network. Finally, as companies begin to near shore predictive policing will likely be adapted as a valuable tool in the decision making process. Procurement is not just about purchasing, but also about relationship management. Companies must both acquire customers (marketing) and retain them (relationship management). How does one ensure that they are reaching the appropriate demographic and pooling high quality suppliers when they utilize procurement tools such as reverse auctions? First, they must ensure that they are communicating information to potential suppliers in an effective manner. It should be very clear what your company does, how they go about doing it, and what they want out of a relationship with any supplier. In time we will see sentiment analysis being used to by every company to gauge the market's perception of their message. For those of you that are not aware, sentiment analysis is the mining and extraction of text for emotions (sentiment). One example of sentiment analysis, specifically mining tweet sentiment, may be found here. Once one determines where there may be gaps in their message, they must identify the cause of these gaps. For a company with a big online presence, one way to accomplish this is by using eye-tracking studies. Using the image below, Kissmetrics notes that by simply changing an image one is able to completely redirect the users attention. In doing so, this may dramatically affect the overall user experience and therefore corporate message. depicting how valuable embedded videos may be in Google search results. Now, more than ever, it is important that your communications and marketing teams understand these concepts. This is because marketing is only going to get more complex. According to HPE Matter, facial recognition software has been developed to the point that it can now reasonably accurately identify human emotions. This means that not only will one have to determine who to communicate their message to, but they will also have to determine when to communicate that message. After constructing a clear message, one must then disseminate it as widely as possible via search engine optimization. Yet another algorithm that needs to be understood. Once one has developed a large enough pool of suppliers they must now maintain them. Many existing data science techniques can, and should, be widely adopted for the purpose of evaluating with whom to communicate and how to do so. In particular, many unsupervised learning technqiues have been developed under the purview of churn analysis to help identify and classify suppliers with similar profiles and what the most effective message to each of these suppliers would be. All of these aforementioned techniques will become fully integrated and commonplace as we move through the 21st century. Over the past decade there have been many changes in procurement. Thanks to the data boom I fully expect the procurement landscape to experience quite a bit of change over the next decade. To this point we have discussed many tools and techniques that I fully expect to be considered mandatory parts of the procurement process by the end of the next decade. Furthermore, it is highly likely that more complicated procurement options will develop in the 21st century as a means to obfuscate purchasing and tip the scales in one direction or the other. Consider for a moment that one of the big arguments for reverse auctions was that they supposedly add visibility to the procurement process. This is not necessarily true. Rather, they tip the scale in favor of the person with the most market knowledge because they give the impression of added visibility while not necessarily ensuring that one is going to the market at the best possible time or getting the best possible deal currently available (for instance, the best possible supplier may not currently be available due to resource limitations). All of the preceding sections offer means with which one may acquire and disseminate useful information. A successful business is not one that has implemented the previous processes. Rather, a successful business is one that uses its resources to make good business decisions. As easily obtainable, inexpensive data becomes readily available managers will need to understand how to best evaluate the accuracy and and optimal utilization of said data. How does one go about making the best possible business decisions in a data obsessed world? By understanding game theory. The purpose of this article was to introduce the reader to techniques used in other fields that I believe will become a standard part of the procurement process over the course of the next decade. In all honesty, I expect that most, if not all, of these techniques will become the norm within the next couple of years because all of the techniques discussed are currently used extensively in other fields such as investment, forensic accounting, and marketing. If you have comments, suggestions, or want to explore how Source One can help your company implement any of these strategies feel free to contact me at jpatounas@sourceoneinc.com.